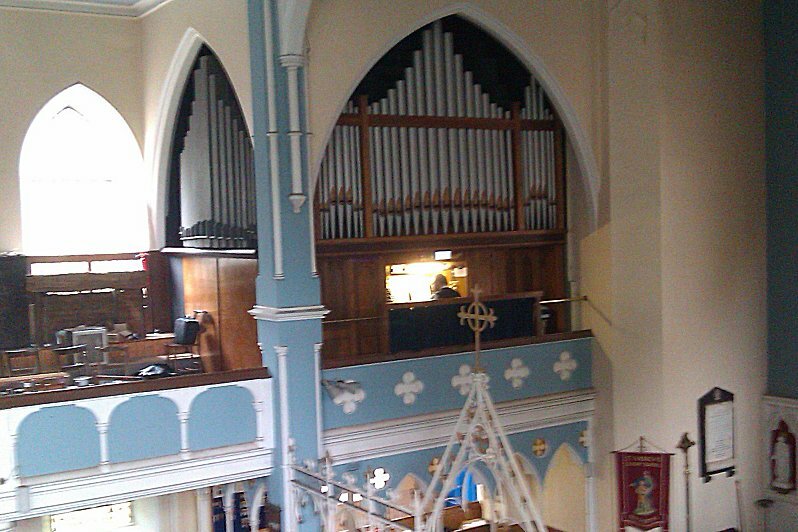 Originally built on a West End gallery by T H Harrison of Rochdale, the organ was moved to its present location in a gallery in the north-east corner shortly afterwards. Its first rebuild was in honour of Queen Victoria's diamond jubilee (1897). 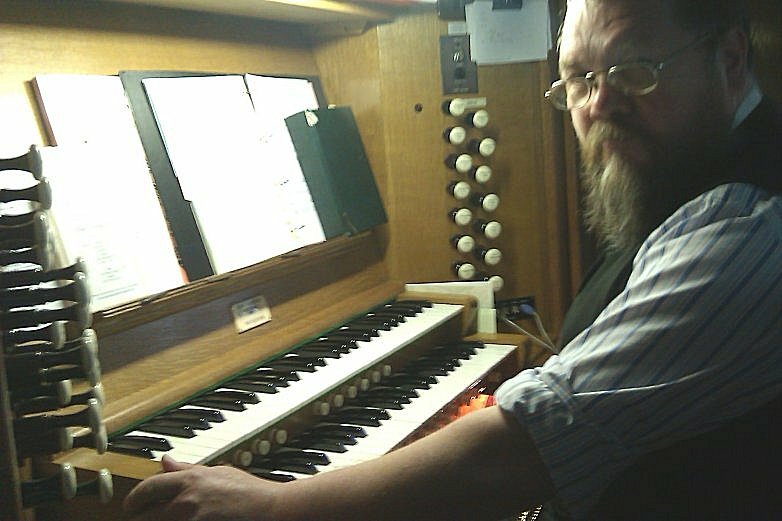 A further rebuild was attempted in the early 1960s using pipework from a redundant Compton but - perhaps fortunately - this was abandoned through lack of funds and the organ was put back together by Nelson & Co, at which point electro-pneumatic action was added. The only Compton rank retained is the pedal Tromba 16ft. Its present good condition is largely due to a rebuild by Tom Sheffield in 1990, but the present interest is due to recent work by Peter Spencer of Rugby. This has not only provided a more powerful reed rank (available as Trompette 8ft & Clarion 4ft on either manual) but has also involved very significant work with electronics provided by Solid State Organ Systems (see central photo). 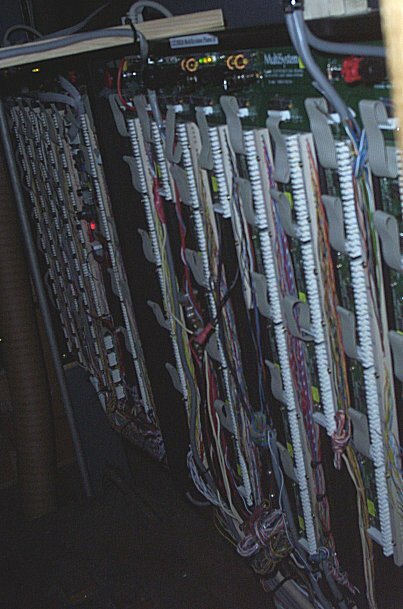 As well as making every piston instantly reprogrammable (as divisional or general) from the console, this includes a MIDI interface that not only allows performances to be recorded but also allows files to be modified (using PC software) and played back - without the organist touching a single key! The organist here is Tim Newey (see photo on the right), probably more famous as the publican of The Old Swan at Netherton. He particularly enjoys the ability to sing in the choir (at ground level) while the organ is playing a previously-recorded accompaniment via his PC and the new MIDI system!